Twitter may not be having the best of times lately – its shares hit an all-time low of $13.90 last week – but one area where the company continues to find success is Periscope, the live-streaming video service it owns. Yesterday, the broadcasting app announced that it will be introducing some new features, including automatic saving of streams, better search functions, and drone integration. Previously, Periscope deleted broadcasts 24 hours after they first became available. It had been testing a beta version of a save system that required users to type #save when starting a stream. But soon, all broadcasts will be automatically saved on Periscope and Twitter, along with comments and hearts. It will be possible to delete broadcasts at any time and configure the settings so they auto-delete after 24 hours, as before. 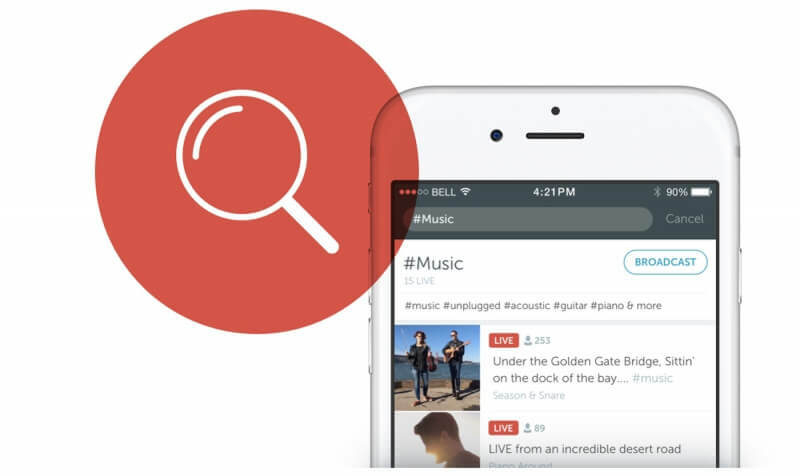 Additionally, Periscope is improving the way that users can find new content. Currently, seeking out a broadcast involves searching for a user or scouring a global map. But the update will allow people to search for content based on topic hashtags like #Music and #Food. There will also be special topics such as “First Scope” and “Go Pros and Drones” introduced. Anyone who wants their streams to be found just needs to add a hashtag to the title or start a broadcast from the search results page. Finally, the service is bringing in support for Chinese company DJI’s drones. With the Periscope app acting as a remote control, users will be able to switch seamlessly between the drone’s feed, an iPhone camera, and even a GoPro. They’ll also be able to narrate and sketch over the top of footage using their smartphone. The new features, particularly the drone integration, will likely bring even more viewers and broadcasters the live-streaming service. Twitter may be lagging behind Facebook on the social media side of things, but, thanks to Periscope, it’s still ahead when it comes to live-video.